Amazon will begin moving into Northern Virginia in earnest by the end of 2020 and has signed initial leases for existing office buildings in Crystal City as well as agreements to buy two newly-constructed buildings that will break ground later. JBG Smith says Amazon has signed three Crystal City leases totaling 537,000 square feet for buildings at 241 18th Street South, 1800 South Bell Street, and 1770 Crystal Drive. 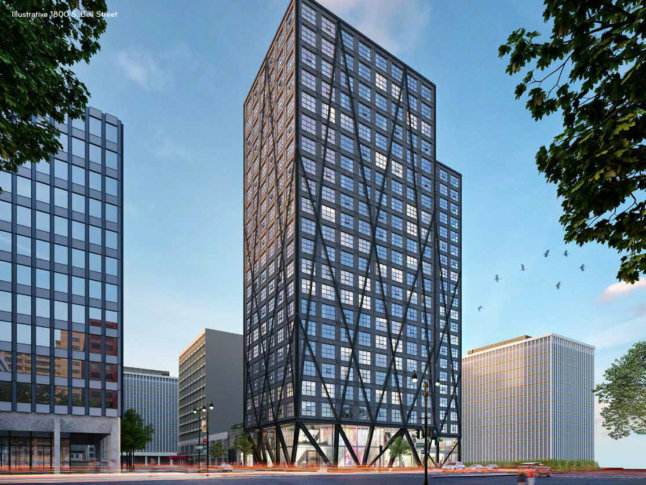 JBG Smith has also signed Amazon for purchase and sale agreements for two National Landing development sites in Pentagon City, which will be the first phase of new construction for Amazon’s HQ2. Amazon will pay $294 million for the sites, which will total 4.1 million square feet at build-out. JBG Smith will also serve as Amazon’s developer, property manager and retail leasing agent for the new buildings. “We are pleased to report that our partnership with Amazon at National Landing is moving full steam ahead,” said JBG Smith CEO Matt Kelly. “With the execution of these agreements and recently legislated state and local government commitments to invest approximately $2 billion in the region’s transportation, education and housing infrastructure, we are ready to welcome Amazon’s first National Landing employees in the coming months,” Kelly said. Earlier this year, the Virginia General Assembly approved $195 million in state funding for infrastructure improvements that include second entrances to the Crystal City and future Potomac Yard Metro stations, a pedestrian connection to Reagan National Airport, an expanded VRE station and improvements to Route 1. Those investments are on top of the $570 million incentives package the state approved as part of its bid to win the HQ2 nationwide search. Virginia has also approved $250 million in funding for Virginia Tech’s planned $1 billion Innovation Campus in Alexandria and $125 million for Master’s degree programs in STEM jobs at George Mason’s Arlington campus.